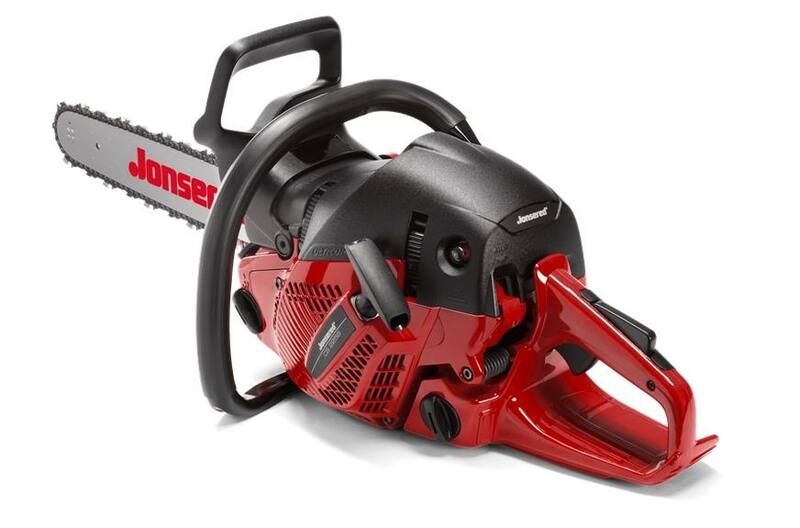 With raw power and a highly competitive power-to-weight ratio, this saw is just as good for felling really big trees as it is for limbing and cross-cutting. Loaded with innovative technology, a powerful Clean Power™ engine and a newly designed low profile body that makes limbing even easier and provide performance over a broad power band. Ulticor: The most advanced machines designed for tough work and best performance. Clean Power™: The Clean Power™ engine design reduces harmful exhaust emissions by up to 75% and increases fuel efficiency by up to 20%. Turbo: Jonsered’s unique turbo intake air cleaning system removes up to 97% of the sawdust from the air before it even reaches the air filter. Spin Start: Spin Start reduce the resistance in the starter cord by up to 40%. Anti Vib: Our system based on damping elements that provides one of the best vibration damping on the market.